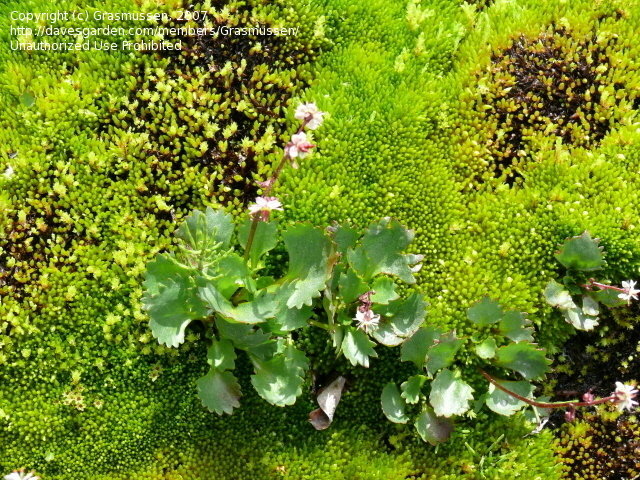 Red-stemmed Saxifrage, Saxifraga lyallii, photographed on seeping water, Hatcher Pass, Independence Mine State Historical Park, Alaska, 7/15/2007. 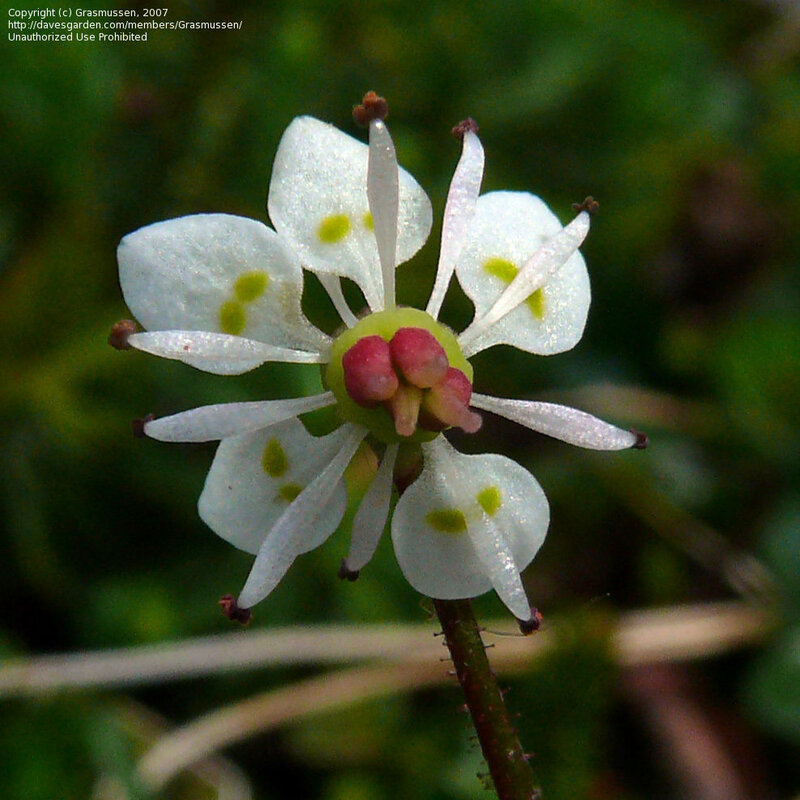 Red-stemmed Saxifrage, Saxifraga lyallii, close up of a fresh flower, showing the two greenish-yellow spots per petal, Hatcher Pass, Independence Mine State Historical Park, Alaska, 7/29/2007. 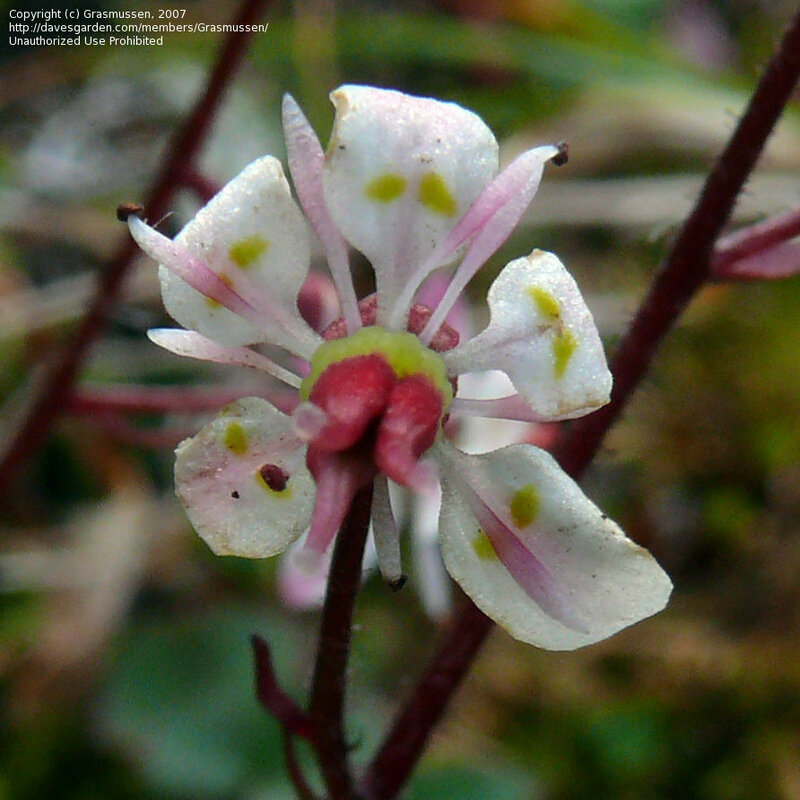 Red-stemmed Saxifrage, Saxifraga lyallii, close up of an ageing flower, developing a pinkish tint, Hatcher Pass, Independence Mine State Historical Park, Alaska, 7/29/2007.